Looking for deals in Zurich? Located in Zürich, a 3-minute walk away from Oerlikon Train Station and 2953 feet from Messe Zurich, ACASA Suites provides accommodations with a fitness center and private parking. Location, fitness, restaurant, private small meeting lodges. Next to Zurich’s center, B2 Boutique Hotel + Spa provides stylish, air-conditioned rooms in a former brewery. Absolutely amazing staff. Everyone is nice to us for just about anything. We also got a wonderful room upgrade and decoration because we are on honey moon. Not to mention the cool Building and free mini bar and pool and everything. Only 656 feet away from Lake Zurich’s promenade and the Opera House, Hotel NI-MO is located in Zurich’s Seefeld district, with its many boutiques, cafés and restaurants. Rooms have free Wi-Fi. Excellent location, near attractions, less than 5 mins walking distance to train station and tram station. The staff are really nice. Brilliant breakfast. In a tranquil location in Zurich’s Old Town, just 656 feet from the Bahnhofstrasse shopping street, this 5-star hotel occupies 9 adjacent, carefully renovated historic buildings decorated with works... Beautiful Hotel. Amazing staff! 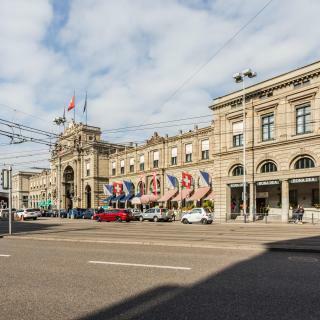 The Hotel Schweizerhof Zürich is located opposite the main station at the beginning of the Bahnhofstrasse and offers soundproofed rooms with electrically adjustable beds and free high-speed WiFi. Exquisite... people, accommodation, service... every little detail thought of... highly recommended! Newly built in 2016, Placid Hotel Zurich offers double rooms and suites on the 3 top floors of a 12-floor business tower in Zürich Albisrieden-Altstetten. We loved everything! Fabulous urban design. Extremely friendly staff. Very affordable prices. Offering free WiFi and a bar, the 25hours Hotel Zürich West is located in the Zurich West district in walking distance to the Swiss Prime Tower or a multiplex cinema. Hip decor, clean bathroom, quiet room, air conditioning. 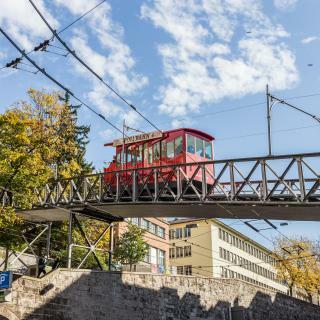 The traditional Hotel St. Georges can be found just 984 feet from the Zürich-Wiedikon Train Station and offers you rooms with free Wi-Fi and cable TV. Amazing place to stay in Zürich! The staff is amazing. Excellent coffee. Ibis Budget Zurich City West is in the trendy Zurich West district, 10 minutes by public transportation from the center of the city and Zurich Main Train Station. Breakfast was good value for money. Bed was clean and bathrooms were very contemporary. The easyHotel Zürich offers free WiFi access, located in the multicultural district 4 in Zurich, nearby many bars and restaurants, and just a 2-minute walk from the Helvetiaplatz Tram Stop and the... Convenient location. And super easy to get in and out. Checking and checkout is a breeze. The ibis Zürich Messe Airport is a 10-minute walk from the Messe Zürich exhibition center and the Hallenstadion Stadium. I liked the security of the hotel, the cleanliness and the wide variety of the breakfast meal. The Hotel Olympia Zürich is located in a residential area, just a 10-minute drive or tram ride, or a 30-minute walk away from the Old Town. All rooms have a flat-screen cable TV and a private... Huge apartment room with 2 bedrooms. Everything was super clean and comfortable. 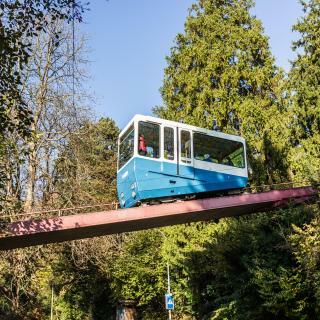 In quiet, green surroundings at the foot of the Uetliberg Mountain, the guests' house is easily reachable from the Zürich Main Station in a 10-minute train ride on the S10 train line. I could park my car there for no extra cost. Before Checkin and after Checkout. 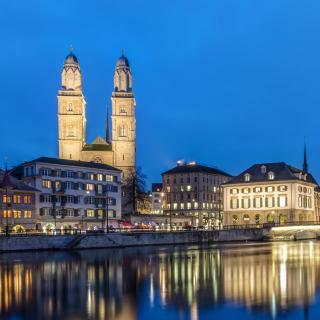 Hotel DaVinci can be found in the Niederdorf quarter next to the Limmat River and next to a famous night club in the center of Zurich, a 5-minute walk from the Main Train Station. The staff is super friendly and helpful! Offering city views, Boutique Hotel Herzkammer is located in the city center of Zürich and 591 feet away from Lindenhof Park. Free WiFi access is available. Hosts Petra and Rudolph were very gracious and accommodating. Located in the Seefeld district of Zurich, Signau House & Garden is a 20-minute walk from Zurich Opera House. 1.1 miles from Kunsthaus Zurich, the hotel has a garden and a terrace. Nice property and the staff is very kind and accomodating, especially Mr. Lorenzo. Next to Zurich’s center, B2 Boutique Hotel + Spa provides stylish, air-conditioned rooms in a former brewery. Absolutely amazing staff. Everyone is nice to us for just about anything. 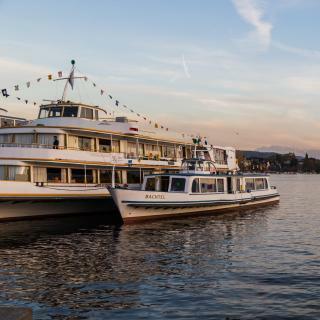 The Small Luxury Hotel Ambassador can be found next to Zurich's opera house and to Lake Zurich, right in the heart of the city. this is my second stay it has comfort bed, super location, smooth and professional staff dealing. This contemporary 5-star hotel is in the heart of Zurich's commercial district, yet just steps from the fashionable Bahnhofstrasse shopping street, Lake Zurich and the Old Town. Ambiance, the service, very friendly, great rooms, amazing location. The food is just wow! Which hotels in Zurich are good for families? Many families visiting Zurich loved staying at Hotel Kindli, Atlantis by Giardino, and Storchen Zürich - Lifestyle boutique Hotel. What are the best hotels in Zurich near Kloten Airport? Travelers who stayed in Zurich near Kloten Airport (ZRH) have said good things about Radisson Blu Hotel, Zurich Airport, Mövenpick Hotel Zurich Airport, and Residence. Which hotels in Zurich offer an especially good breakfast? 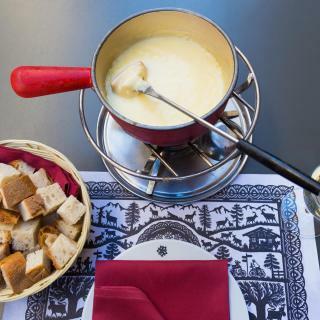 For hotels in Zurich that serve highly-rated breakfasts, try Signau House & Garden, Boutique Hotel Herzkammer, and Hotel Kindli. How much does it cost to stay in a hotel in Zurich? On average, 3-star hotels in Zurich cost $160 per night, and 4-star hotels in Zurich are $210 per night. If you're looking for something really special, a 5-star hotel in Zurich can be found for $438 per night, on average (based on Booking.com prices). Which hotels are the best ones to stay at in Zurich? ACASA Suites, 25hours Hotel Langstrasse, and Aparthotel Familie Hugenschmidt are some of the popular hotels in Zurich. Which hotels in Zurich are good for couples? These hotels in Zurich are highly rated by couples: Boutique Hotel Herzkammer, Signau House & Garden, and Aparthotel Familie Hugenschmidt. Which hotels in Zurich have nice views? Boutique Hotel Herzkammer, Storchen Zürich - Lifestyle boutique Hotel, and The Dolder Grand got great room view-related reviews from travelers in Zurich. How much is a hotel in Zurich for tonight? On average, it costs $175 per night to book a 3-star hotel in Zurich for tonight. You'll pay around $238 if you choose to stay in a 4-star hotel tonight, while a 5-star hotel in Zurich will cost around $509, on average (based on Booking.com prices). What are the best hotels in Zurich near Hallenstadion? Some of the best hotels in Zurich near Hallenstadion include Holiday Inn Zürich Messe, Hotel Sternen Oerlikon and ACASA Suites. How much is a hotel in Zurich for this weekend? The average price per night for a 3-star hotel in Zurich this weekend is $347 or, for a 4-star hotel, $456. Looking for something even fancier? 5-star hotels in Zurich for this weekend cost around $954 per night, on average (based on Booking.com prices). Which neighborhood is the best one to stay at in Zurich? 1. Zurich Old Town - City Center, Wollishofen, and Wiedikon are popular with other travelers visiting Zurich. 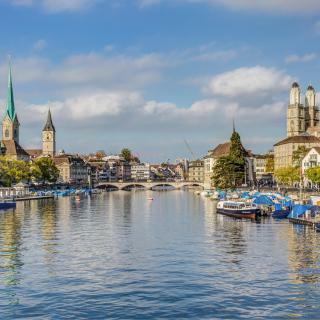 As the financial capital of Switzerland and headquarters of several large companies including FIFA, there’s a good chance that if you’re in Zurich you’re here on business. But that doesn’t mean this city doesn’t have a playful side. Known for its cleanliness and fresh air, it comes as no surprise that the luxurious ski resorts of the Alps are within an easy distance of both the city and Zurich Airport, which is only a 12 minute drive from the city center. The center is also a fast-growing cultural hub, packed with art galleries and museums. The Swiss history museum is called Landesmuseum and the Kunsthaus houses some of the most important pieces of art owned by Switzerland. For an interesting combination of art and culture, check out the Fraumunster, a gothic church with window paintings attributed to Marc Chagall. During the day, the Lindenhof hill offers a stunning vista of the heart of the old town, Niederdorf, which is filled with shopping avenues, winding alleyways and restaurants. At night the many club doors open offering a range of live music and DJs. When your busy day ends, Booking.com has your accommodation needs covered with over 140 business hotels and apartments available. It was gorgeous, very clean and friendly people. It was gorgeous, very clean and friendly people. There is always something happening if you just walk around in the evenings. Night life was also fun, going out with hostel buddies for drinks should always be a good time and I was in Zurich! 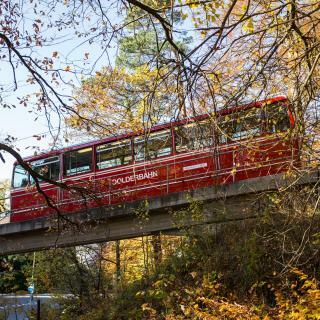 Zurich is a great place, lots to do in Zurich itself, and you can make day trips to the mountains with the coach tours, highly recommendable, the trips to the Eiger, Monch and Jungfrau amazing. Night life is marvelous, and the lake is beautiful. The city centre has everything you could possibly look for, and everything close by. public transport is amazing, with regular trains going to the Airport, and they run on time (to the minute). The only down side is that it can be quite expensive if you are not careful. Very nice town and lots to see. Very nice town and lots to see. Great shopping, but the entire city is very expensive. I would suggest using Uber instead of Cabs. Also brothels and street prostitutes out during all times of the day..
Zurich is one of the expensive cities I've ever been but the place is awesome. Must visit the Rheinfalls, mountains especially Mt. Pilatus and Mt. Titlis as they are quite close to Zurich compared to other mountains. We also visited Lausanne and took the boat to Evian, France, crossing the Lake Geneva. The view is spectacular. Switzerland is one of the places that I'll visit again. We had an overnight flight into Zurich. We had an overnight flight into Zurich. We were very tired. Easily took the train from the airport to the city center and found our rental apartment. We spent the afternoon and evening exploring the Old Town on foot and it was perfect. We picked up a rental car the next morning back at the airport and headed on our way to France. Nice, short visit to Zurich. We liked the old town area -- very charming with lots of places to eat and shop. The downtown area is compact enough to walk around and the train station is also located in the old town area which is very convenient. If we had stayed longer we would have ventured out beyond the old town area. Great Location right in front of Milchbuck Tram Station. Very close to Zurich City Center & Railway Station from where u get connection trams & trains to anywhere in City and far away places. Close to Zurich airport. Very kind & polite hotel staff always ready to explain & clarify ur travel plan, sight seeing & transportation doubts. Free coffee round the clock in the reception area. Good restaurants & cooperative store very close. Porable A/C in rooms. Well maintained rooms daily. Quiet area. This hotel was wonderful, I can't say enough good things. The location was excellent, right on the river and in the heart of downtown. I was able to walk to everything. The staff was so friendly- they helped me locate good restaurants and historic sites, and how to get there. The breakfast was delicious. The ambiance was so cool and unique. They were doing construction at the time, but I didn't hear any noise from it. I will stay here again and suggest it to anyone who visits Zürich! A nice clean, old fashion hotel with a normal spacious room( single bed) and bathroom, good size wardrobe like it use to be ,but not the litle cell rooms they do now... Perfect location-just off of old city and 15 min walking to the glamour Zurich's street.5min walking to train station which makes your airport connection fast and easy. Mr Jacob from the reception very kind,fast and helpfull concerning any information I need for the city in my short stay in the hotel. The man on check in was really helpful and he advised us of the easiest way to get to zurich centre, we chose the hotel because it was cheaper than all the city centre ones so we knew it was a bit out of it but there is a bus stop right outside and a couple of restaurants and a little shop if you don't want to eat in the centre. Decor was lovely, room was quiet and comfortable. Very convenient to get to Zurich airport 15 min train) and Zurich train station(2min). Close to supermarkets and eateries with rather long opening hours. Within walking distance from train station. The room is very big with 3 double bed for the 4 if us is super duper comfortable. Appreciate Swiss hotel checking out procedure. So easy and efficient. No time loss at all. Loved everything about this hotel. We needed to be near the station to get an early connection to Zürich airport & didn’t expect such a high standard. We wanted to explore the city for the time we had to spare & it was an ideal location. Would recommend even without having access to station. Breakfast super. It is a very well located, modern and functional hotel. Front desk is helpful and the place is very well maintained. Housekeeping service was done well daily. All key places in Zurich downtown are no more than 10 to 15 mins walk. There are good coffee and eating places within 5 mins. I do not know why this Hotel has so many negative reviews. 🤔 Profile photos correspond to the hotel. It's very clean. Comfortable bed Located in the city center Best price in Zürich The Miss at the reception is very kind. Overall, it’s ok for the price given that everything in zurich is expensive. The great thing about this hotel is that it is so close to the main train station and the city center. Airport only takes 20 mins. Had a night stop over in Zurich and found the Hotel close and very easy to get to the Airport..just 30 mins by train and bus. Also got an upgrade which I appreciated and loved. Very clean and comfortable! Convenient location, close to train station. Few minutes train from the airport, convenient for stay before going to the airport. It’s a cheaper choice other than Zürich city Centre. I could park my car there for no extra cost. Before Checkin and after Checkout.